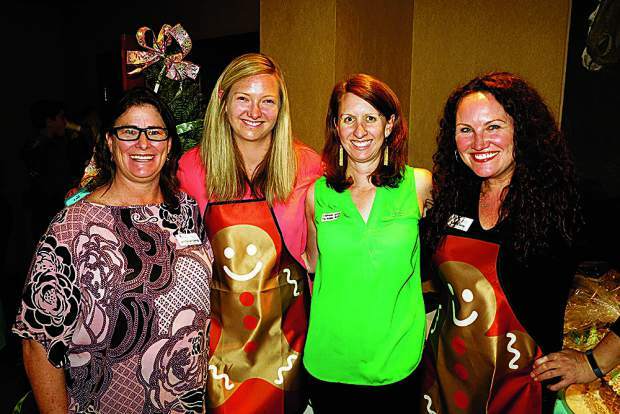 Buddy Program staff Jill Grueneberg, Maddie Hawken, Lindsay Lofaro and Laura Seay. 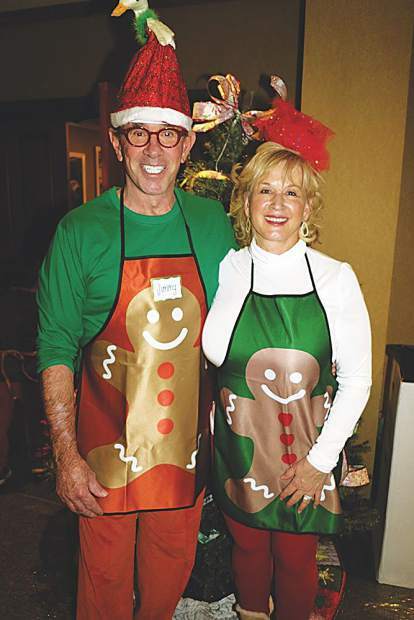 Jim and Helen Fifield deck the halls for the Buddy Program's holiday event. Buddies Kayla Feld and Abigail. 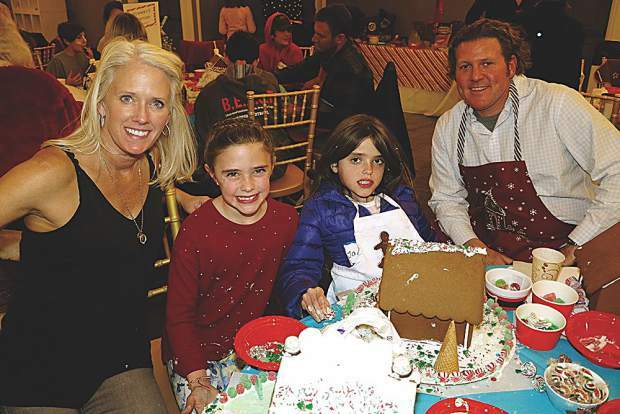 Bisque Jackson decorates gingerbread houses with her daughters Desi and Jaden and Frank Roddy. 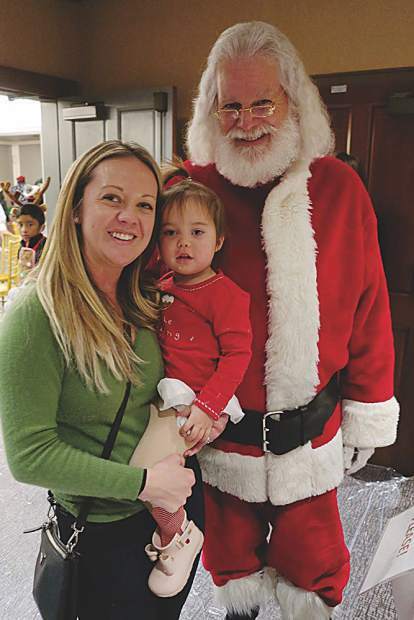 Susan and Sydney Chen with St. Nick. 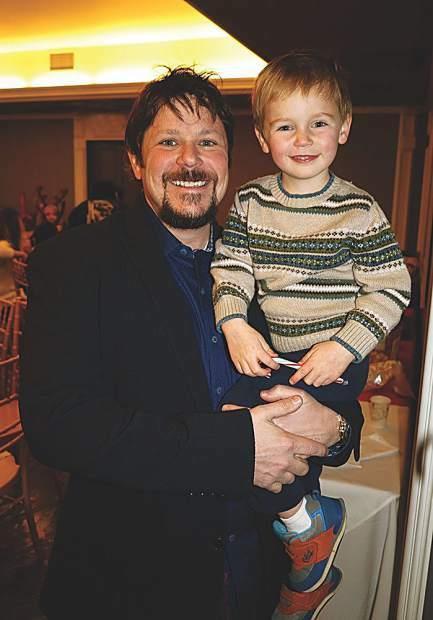 Ken Adler with KA Designworks, an event sponsor of the Gingerbread House Workshop, with his son Evan. Buddies Jesus and Lane Johnson. Chris Cohen admires the creative decorations by sisters Melissa and Alejandra on their gingerbread houses. 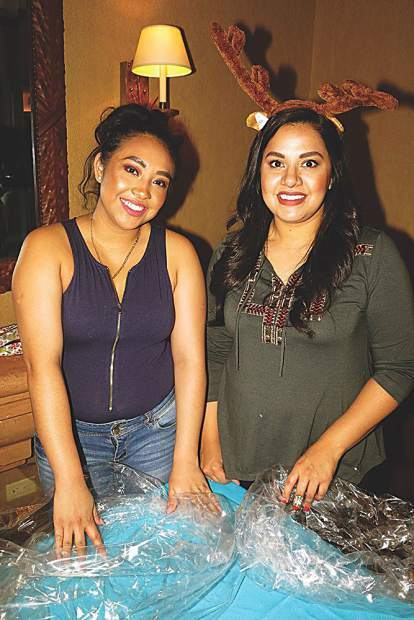 Edith Tapia and Lisa Marie Ruiz. Cheryl Wyly and Joe Vernier volunteer for the gingerbread house wrapping station. 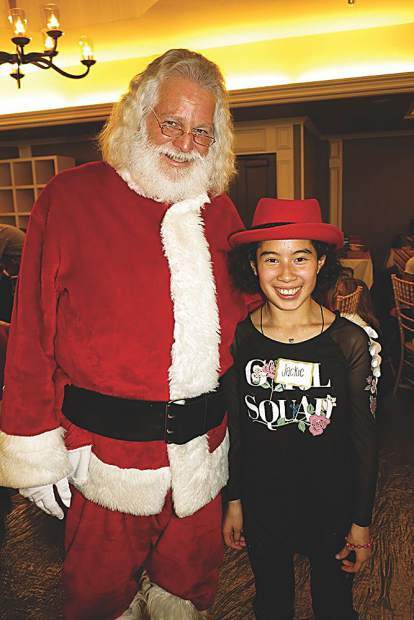 Santa Claus with a stylish little Buddy named Jackie. 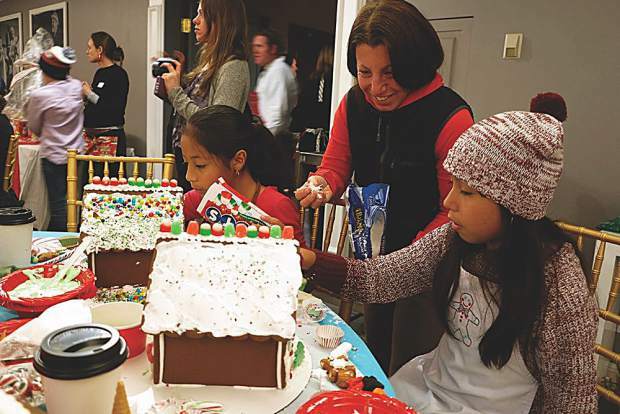 The Buddy Program’s fifth annual Gingerbread House Workshop took place at The Little Nell over the weekend, hosted by Jim and Helen Fifield and Karen Wing. Many individuals and businesses sponsored each of the tables that were set throughout the Grand Salon, featuring an array of colorful ingredients and pre-constructed houses ripe for decoration. 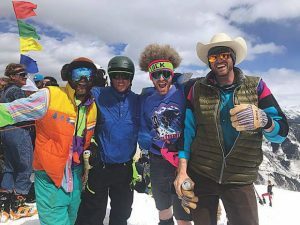 The afternoon extravaganza brought 100 Big and Little Buddies together and serves as the organization’s largest group activity of the year and second most successful fundraiser. 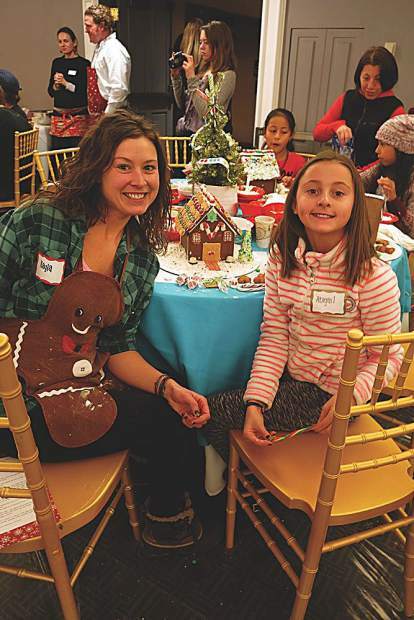 Each child spent time with volunteers and Big Buddies as they collaborated on their project, then got to take their creation home to share with their family and friends for the holidays. 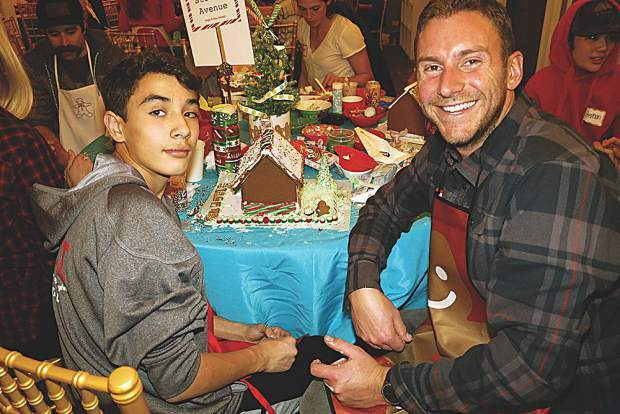 The much-loved holiday tradition brought in $70,000 last year in support of the Buddy Program, providing funds in support of the nearly 600 youth and families served. The Buddy Program empowers youth through mentoring experiences in order to achieve their full potential. Learn more by visiting http://www.buddyprogram.org. 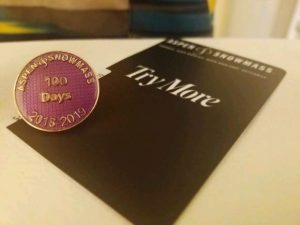 To reach May with invites and insights, email allthewaymaymay@hotmail.com.